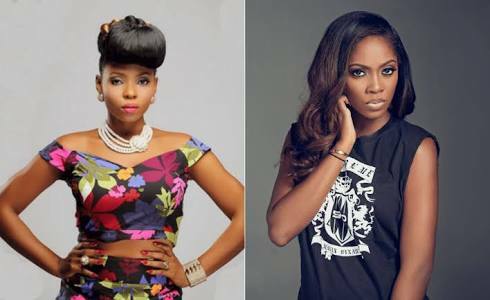 Top Nigerian singers Tiwa Savage and Yemi Alade are embroiled in a new feud with each other. A recent indication of the fresh beef between the two singers is that they’re no more following each other on social media again. The alleged beef may have been triggered with Yemi Alade’s recent radio interview at Hot 98.3 FM. During the show OAP Misi described Tiwa Savage as a shouter, whenever she performs while hailing Yemi Alade for her range. The criticism did not sit well with Tiwa Savage as she reacted to it with cryptic post on social media. Not only did she make post about being called a shouter she unfollowed Yemi Alade too. This would be that Yemi Alade was subtle support of what the OAP said.